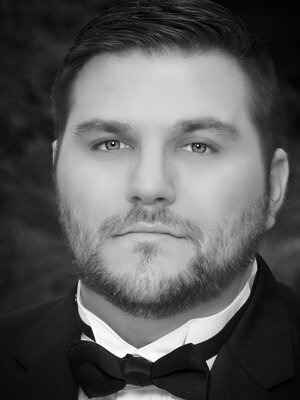 Robbie LaBanca is a choral singer and soloist based in Austin, Texas where he performs with Texas Choral Consort, Chorus Austin, Texas Early Music Project and the Grammy® award-winning Conspirare under the direction of Craig Hella Johnson. He earned his Bachelor Degree in Music and Human Learning from University of Texas, Austin, where he performed with Concert Chorale, Chamber Singers, Men’s Chorus, Opera Chorus and UT Choral Arts Society. He has performed as a soloist in Handel’s Messiah, Bach’s Magnificat and in operatic performances of Mozart’s Le nozze di Figaro, Menotti’s Amahl and the Night Visitors, and Puccini’s Gianni Schicchi. Robbie has been a soloist and section leader at St. John’s United Methodist Church since 2002, under the direction of Dr. Cina Crisara. An avid performer of various musical styles, Mr. LaBanca is comfortable singing music styles ranging from Baroque to Broadway.